营销活动, 运营同学上传人群名单, 系统读取文件将人群落库, 有行数据混进了空格, 发奖失败. Debug trim() 函数源码, 发现并没有走到判断语句中, 显然, 我们应该碰到了假空格!! 本文经过 MarkDown 语法转义, 测试代码中 “固定空格” 请使用 Option + Space 打印, Command + v 拷贝出来的是普通空格. 经过谷歌, 发现 Unicode 为 160 的字符被称作 “Non-breaking space”, 下面仔细介绍一下. 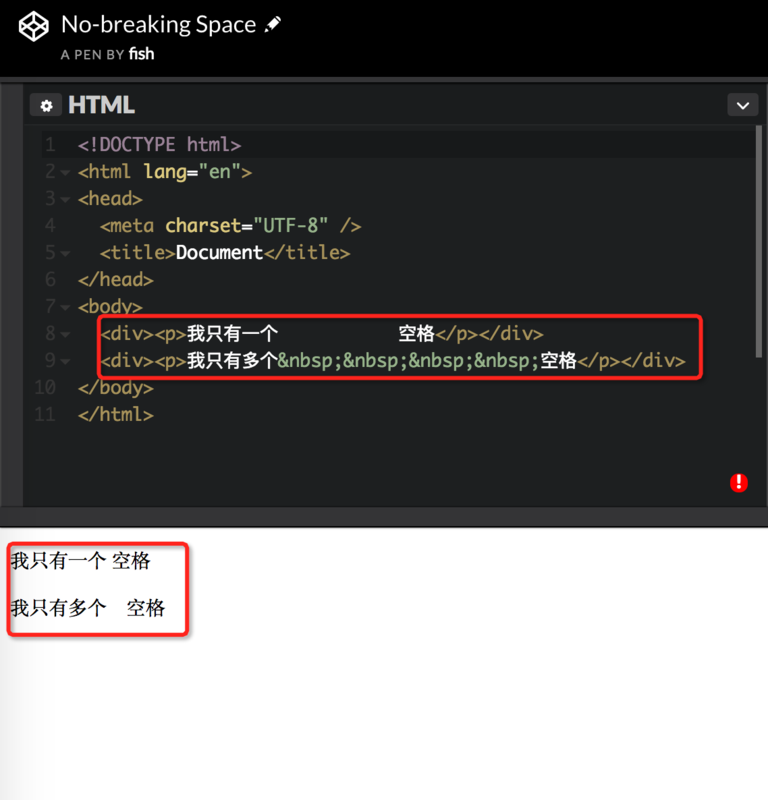 No-breaking Space, 也被成为 Fixed Space 姑且翻译成”固定空格”, 经常出现在 HTML 与 office 软件中. 前端同学会非常熟悉, 这货就是 '&nbsp'. 多个空格, 在 html 中会被合并成一个, &nbsp 不会被合并. 既然知道该字符编码, 在 trim 之前, 用普通空格进行 replace 就可以了. It is a Unicode space character (SPACE_SEPARATOR, LINE_SEPARATOR, or PARAGRAPH_SEPARATOR) but is not also a non-breaking space (‘\u00A0’, ‘\u2007’, ‘\u202F’).